His Hands Extended Sanctuary. We utilize their low cost spay/neuter clinic. Please visit their site and help them by becoming a member and join their fight for No More Homeless and Hurting Pets. They are a 501(c)3 charity/private shelter with no government funding. God bless their work in rescuing from puppy mills and providing sanctuary for all the thrown away kitties! PULL with CALICO! We would like like to Thank the below for helping us achieve our goal. The Lazy Cat Boutique located in South Charleston, OH. Thanks to Larry & Julia for selling our Cat/Canine Cozy self warming blankets. Visit their unique boutique as they sell a variety of items from handbags/jewerly to fossils and antiques. Something for everyone! Comfort and Joy Eclectic Emporium located at 106 S Main Street in New Carlisle, OH. Thanks to Trish for allowing us to display our Easter Raffle basket and display/sell Cat/Canine Cozy self warming blankets. Alley Cat Allies (The cats' leading advocate): This organization has made it possible for so many groups to spread the word on TNR. 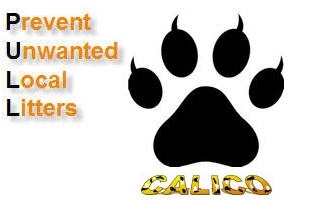 We rely on their website, tools & resources...they have paved the way for small groups like CALICO to help make a difference. Alley Cat Allies is committed to advocating for an end to the killing of cats, leading the movement for change, and protecting the lives of cats—and the people who care for them. Get informed about the issues impacting cats and what you can do to make a difference. Click on their logo to vsit their site today to learn more!